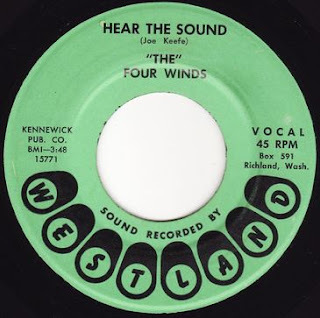 Joe Keefe, Ken Finley, Sharon Scharnhorst & Julie O'Conner made up the 4 Winds. Joe teaches guitar in Kennewick and is married to Sharon Scharnhorst who is now a retired teacher from the Pasco district. Kenneth Finley is a minister in the Tacoma area. Julie is an artist who makes furniture out of tree branches & Patty is a teacher in California. Top of the Poppers ... featuring Alan Caddy ?!? This Rite custom Pressing Discography is the most complete available on-line and is regularly updated.